The class includes former Americas Cup sailors, one-design champions, disabled sailors, cruising class sailors, and people of all ages and genders who love to sail. 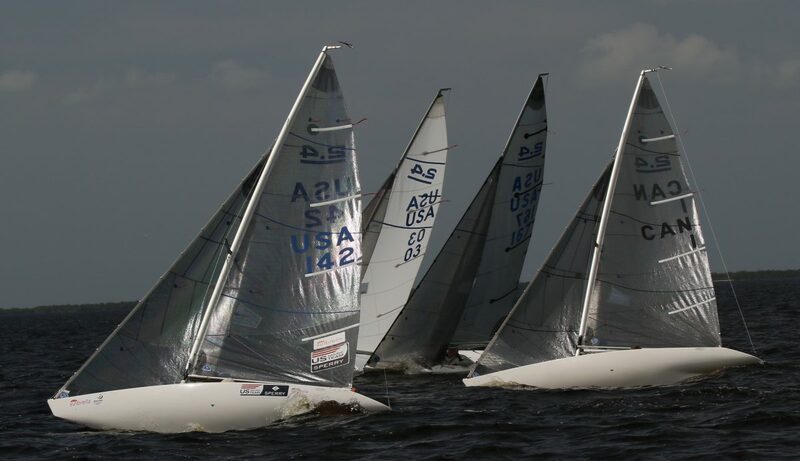 The best thing about the 2.4 meter is that each sailor competes on an equal level of sailing ability – not agility. Some have called this boat “the great equalizer” because it really levels the playing field for sailors of all ages and abilities. 2018-2019 CanAm Wrap Up Posted in: News & Announcements, Regatta Results- Smith Wins The Finale and The 2019 2.4mR Can Am Championship Series Increasingly Competitive North American 2.4mR Series Drives Class Growth Port Charlotte, Fla. (April 2, 2019) – Can Am #5, also known as The Finale, closed out the winter racing season for the 2.4mR class on Charlotte Harbor with 21 competitors racing over three … Continue reading "2018-2019 CanAm Wrap Up"
2014 Charger 2.4mr Posted in: Boats & Parts for Sale- 2014 2.4mR Norlin Mk lll Boom and pole 2017 Super Spar mast New Top cover and bottom cover Dolly No weight gain very stiff, Harken fittings throughout, Superspar mast/boom/pole, under/over covers. Electric and manual pumps, full certificate. Ready to race competitively and is arguably the most beautiful looking 2.4mR design with a blue and yellow … Continue reading "2014 Charger 2.4mr"